Statistics show that about 9.5% of American households will rent a self storage unit. Whether it is due to a move, downsizing, travel abroad, or another life event, storage units can be helpful for the short or long term. If you are in the market for storage options, here’s the rundown on how to find a storage unit that will meet your specific needs. Just like buying a home, location is everything when choosing a self storage facility. Having a storage unit near you will make trips to add, remove, or check in on your belongings a simpler task. If you are storing seasonal items, a vehicle, tools, or business documents, you may require frequent trips to your storage unit and you’ll be happy you chose something close to home. When you choose to trust a storage facility with your business or household goods, you’ll want to ensure that the staff is up to snuff. To do this, look for a company that has someone on the premises that can help you when you need it. A professional storage facility manager will listen to your concerns and ask about your needs to guide you through the rental process and make sure you choose a storage unit size that is right for you. It’s an added bonus when the storage facility has a manager or caretaker that lives on-site. This shows the company is dedicated to customer service and security. If you have a facility that’s a strong contender for your business, be sure to take a look around before renting a unit. If you see a poorly maintained parking lot with garbage, a dirty office, or unkempt public restroom, you can bet little regard is given to the integrity of the entire facility, including your storage unit. Your storage partner should have high maintenance and cleanliness standards. You will feel more confident that they care about their business and their customers if they continually make efforts to keep the property in tip-top shape. Take the time to tour the facility, the grounds, and peek into a storage unit before signing a lease. Security is a common concern when it comes to storing just about anything, whether it’s in your garage or a storage unit. Extra precautions such as a well lit property, interior lights, security cameras, gates with access codes, and on-site staff are important features that make a storage facility stand out from the others. Plan a visit after sunset, even if just to drive by, to see how well the facility is lit at night. No matter what storage facility you choose, there is one more necessary step to ensure that you’re completely protected no matter what happens, and that’s contacting your insurance provider. Once you’ve signed a storage unit lease you’ll want to make sure you have the proper insurance to protect your items while stored. 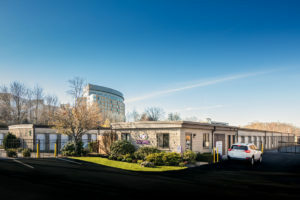 For example, the majority of self storage companies in Boston require tenants to carry personal property insurance that covers offsite storage. You may be able to purchase it through the storage company or add coverage through your homeowner’s policy. Don’t assume your homeowner’s insurance covers stored items; call your agent to confirm! Choosing the right type and size of storage unit really depends on what and how much you plan on storing. If you’re storing tools, instruments, artwork, antiques, and other collectibles, climate controlled units inside a storage facility will be your best choice. 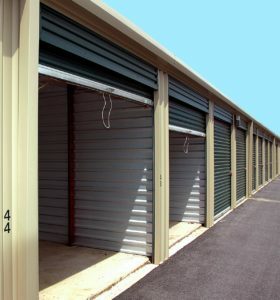 For temporary household storage an outside, drive up self storage unit might be the right fit. Some tenants might start off with a large unit and eventually downsize into a smaller unit. Renting from a storage company that has multiple self storage unit sizes and features allows you to customize your self storage experience so that you get exactly what you need. Still unsure what unit is right for you? Check out our unit size guide and compare options. If you need additional advice simply contact our friendly storage managers and we’ll help you find the right storage unit to fit your needs.